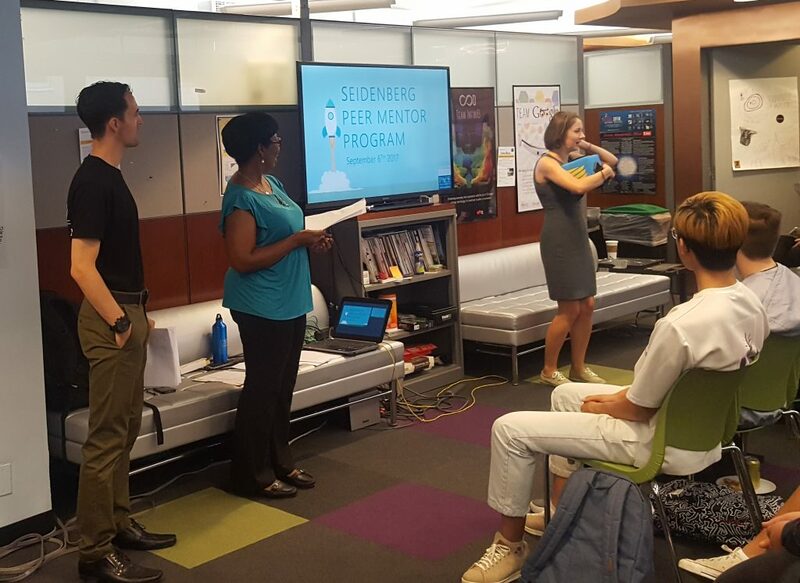 The Seidenberg community was delighted to kick off the second year of our student mentoring program on Wednesday, September 6, 2017. 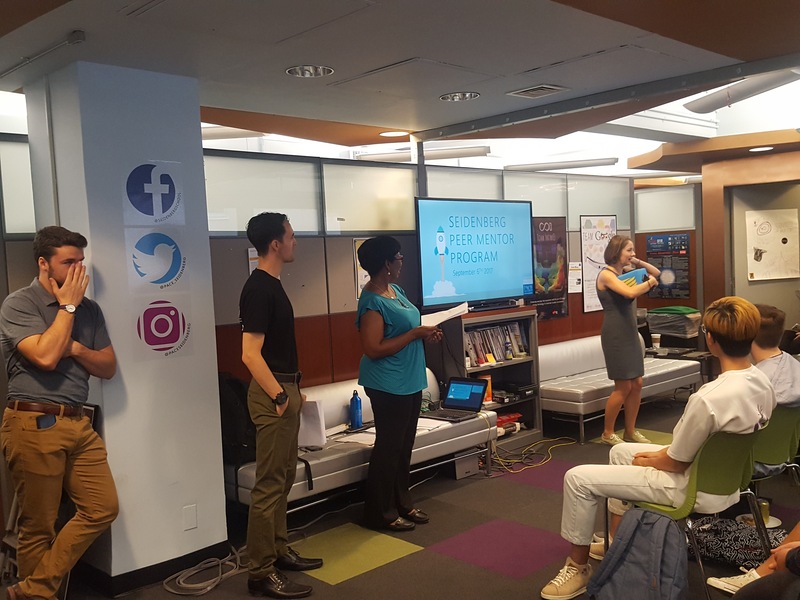 When the program first began last year, we saw great success as senior students took incoming Seidenberg majors under their wings to help navigate the Seidenberg – and Pace University – experience. 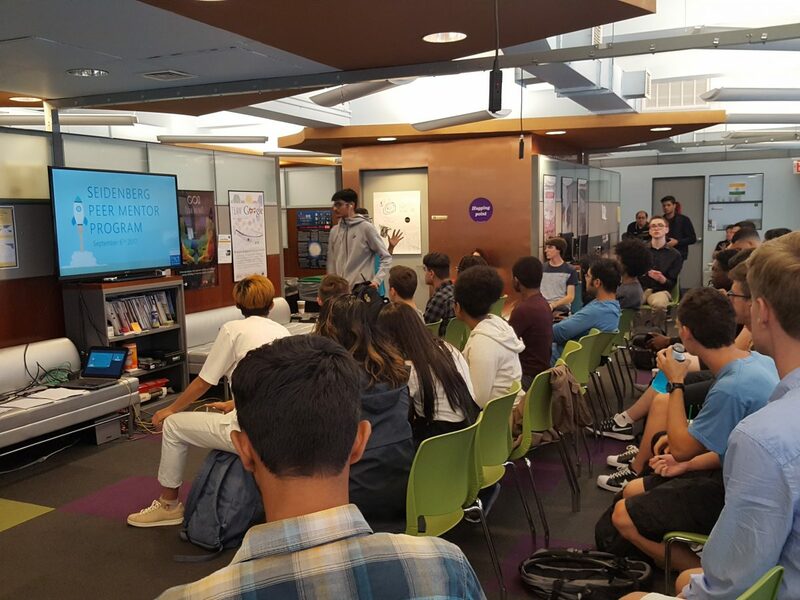 Now in its second year, the program has seen a swell in new and returning students flocked back to meet one another and grow our Seidenberg family. The program aims to help new students settle into life at Pace, learn about how Seidenberg and the University operates, and meet new friends. For experienced students who are mentoring our n00bs, they learn how to provide guidance to new students and valuable skills that are extremely useful in the working world. 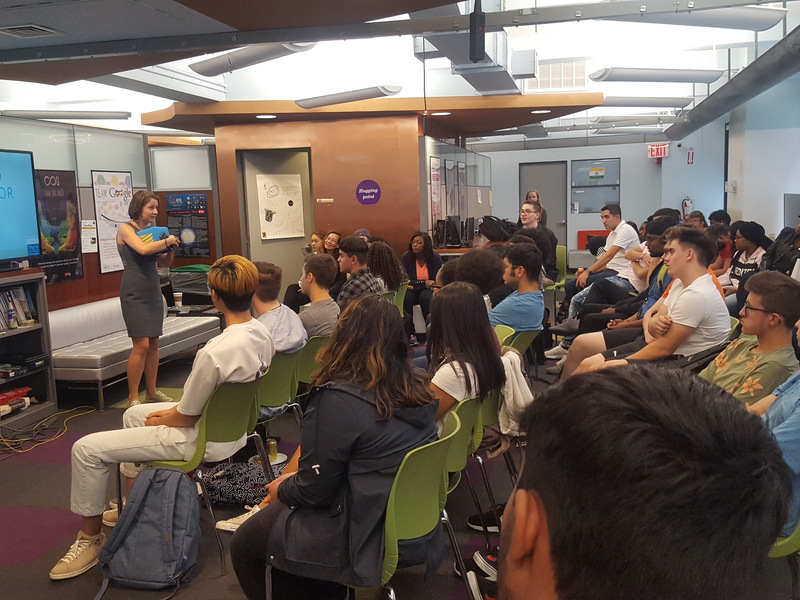 Director of Recruitment and Retention and Academic Advisor Stephanie Elson led the welcome presentation, which laid out the expectations of both mentors and mentees – including the requirement to take as many pictures as possible! #SeidenbergSelfie! New students also got to meet community manager Olga Bogomolova, who welcomed them to the program and reminded them to take care of our space and each other. The Seidenberg Peer Mentoring program is one of our points of pride. If you’ve been through our doors, you know that community is everything to Seidenberg, so we are delighted to see such a robust cohort of students entering and returning to the program this year. We can’t wait to see how our mentors and mentees do! Welcome and welcome back to all of you! Next Next post: Come meet the Seidenberg School at our Fall Open Houses!